The Softgrip Ruler features a soft material in the center groove that makes it easy to grip while positioning. It also doubles as a convenient place to rest a pencil. 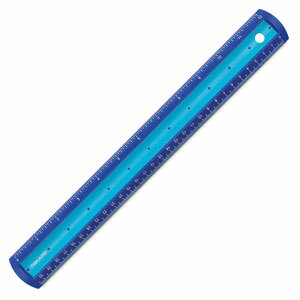 Ideal for all ages, this 12” ruler is marked with both inches and centimeters, in easy-to-read numbers. ® Fiskars is a registered trademark.® Softgrip is a registered trademark.